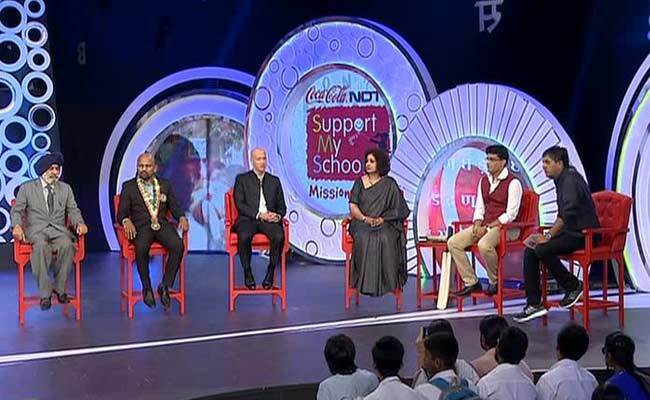 Support My School is a joint initiative by NDTV and Coca-Cola India to revitalise neglected schools. India has been grappling with severe issues of retention of children in school. In rural India, the child is subjected to tremendous social pressures like early marriage, early child birth, taking care of siblings etc. When a child struggles through these issues and still manages to come to school, the unwelcoming state of school discourages him to attend. This exacerbated the already grim situation for children. Taking off from this unhappy situation, the Support My School campaign is an attempt to curtail children from dropping out of schools. 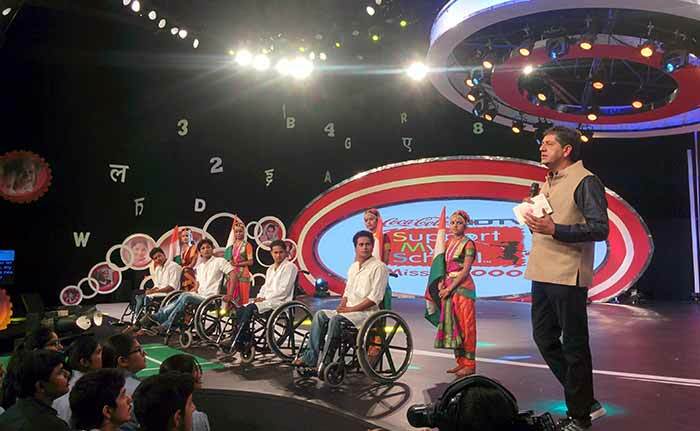 As a part of this initiative, is the 8-hour LIVE televised telethon, which will bring together the entire nation to work towards happy, healthy and active schools. And it's a wrap! Thank you for joining us in raising funds to revitalise 1000 neglected schools in rural and semi-rural areas for a brighter future. 400 schools will be revitalised thanks to today's Telethon; it's the biggest number we've ever achieved in a single Telethon! Venkatesh Kini, on behalf of Coca-Cola & its partners, adopts 76 more schools to achieve our campaign's mission of 1000 swachh schools. 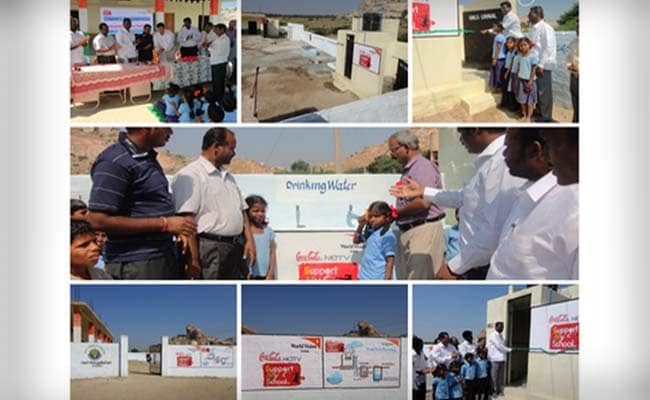 Cherin Thomas, CEO & National Director of World Vision India, adopts 100 schools. With this, we have collected enough funds to revitalise 324 more schools. Radio City just donated Rs. 35,000 for the campaign. 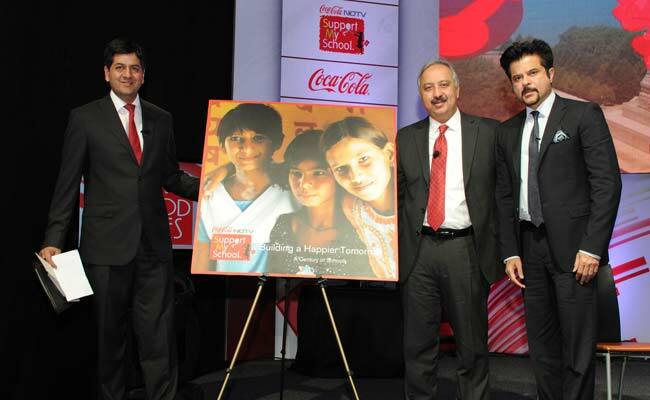 And, Venkatesh Kini on behalf of Coca-Cola & its partners, announces their pledge to revitalise 56 schools. 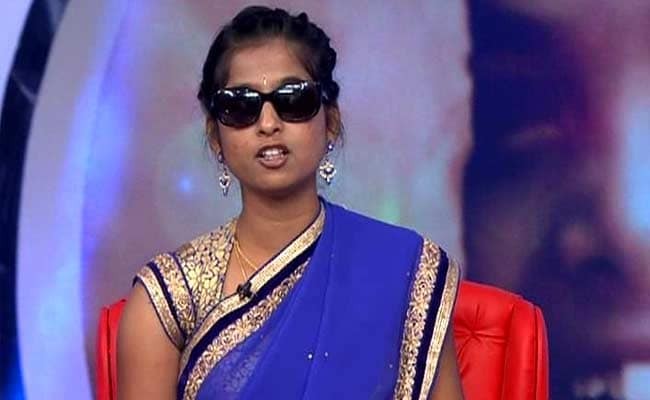 Ashwini Angadi was born visually impaired. But that didn't stop her from completing her education. Today, she runs a free residential school for visually impaired children called BALAKU which means light. Ashwani has received several awards for her work and was the UN Special Envoy for Global Education in 2013. PLAN adopts 50 schools! We have now collected enough funds in the past five hours of the Telethon to revitalise 147 schools. Today, we are also felicitating school principals who went out of their way to help the campaign improve their schools They also gave individual attention to poor students who, despite the transformation of their schools, wouldn't have been able to continue their studies because of personal difficulties. Shorya Mahanot was commissioned to produce his first solo exhibition at Mumbai's Taj Mahal Palace Hotel when he was 4-years-old. 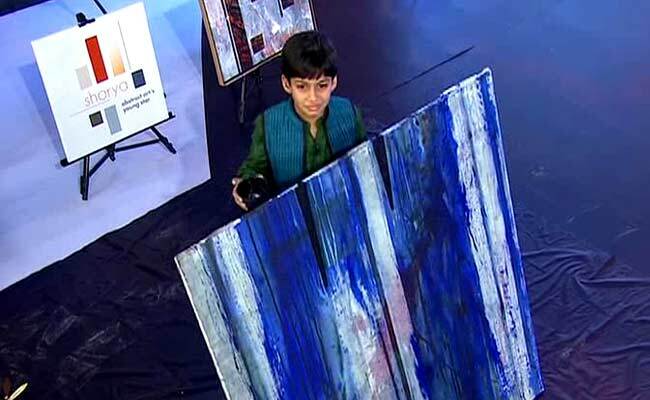 Now, he's nine-years-old, and is going to teach Ranveer Singh and Sourav Ganguly how to paint. 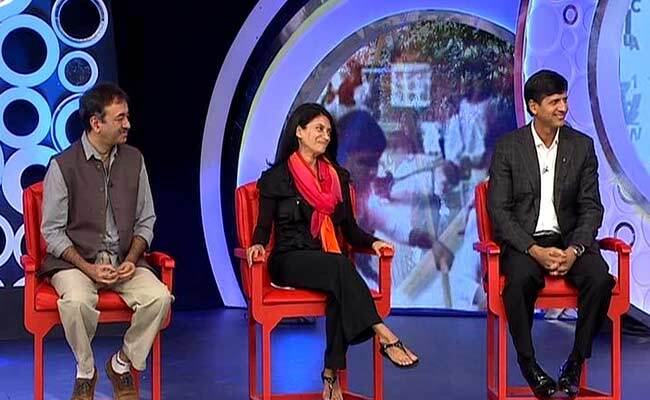 Zarina Screwvala, the Founder and Managing Trustee of Swades Foundation, and Rajkumar Hirani, Filmmaker, voice their take on the Indian education system. "Schools need to be proud of their facilities, and that's only possible if they're valued and maintained", they both echo. Hussain Kuwajerwala danced to all songs that Ranveer Singh has starred in. Obviously, they both shook a leg together as well. TV actor, anchor and dancer Hussain Kuwajerwala enthralls the audience with his energetic performance. Ranveer Singh, Sourav Ganguly and Vikram Chandra play football with these three girls from Ranchi who're junior state-level football players. Until the Support My School campaign intervened, they had no access to any sports facilities in their school. Pashupati Nath Gopalan of Sun Edison has committed to powering 50 schools with solar energy. 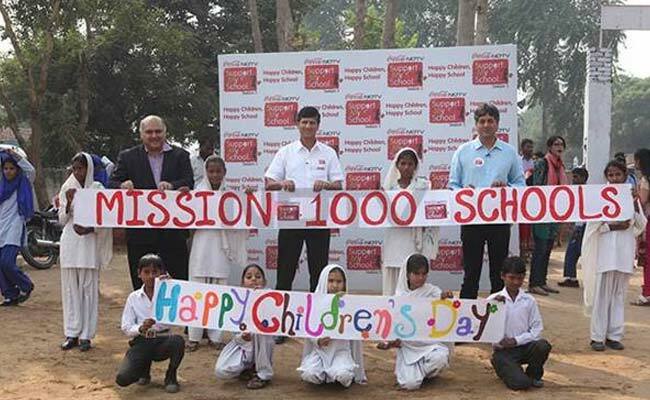 Kandarp Singh of Tetrapak adopts 11 schools. We're inching closer to our mission of 1000 swachh schools. 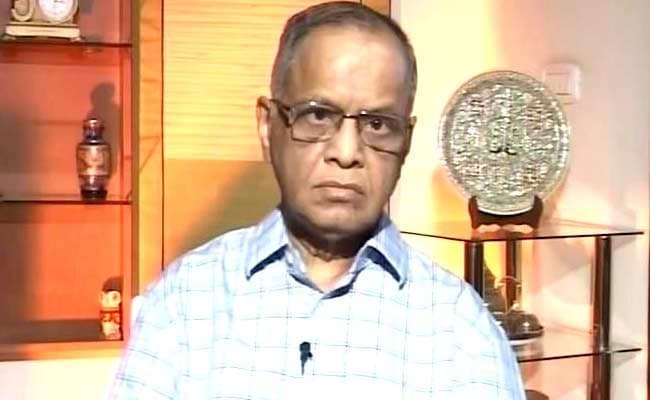 Also joining us from Bangalore is Mr. Narayana Murthy, one of the topmost global business pioneers in technology. He believes that the need of day is to replicate successful models of education adopted by other countries like Singapore and South Korea. 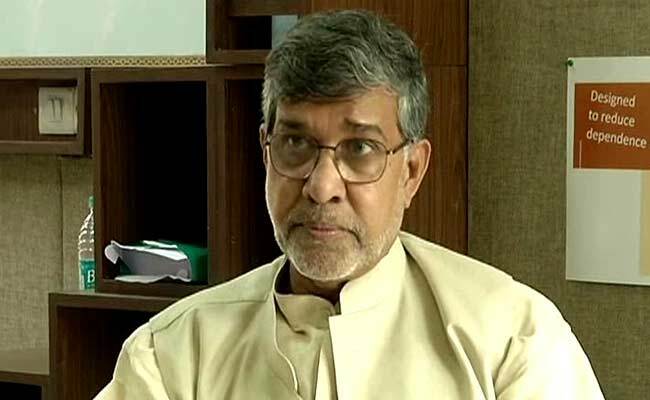 We must understand what they're doing right and try to adopt their model in India, he says. 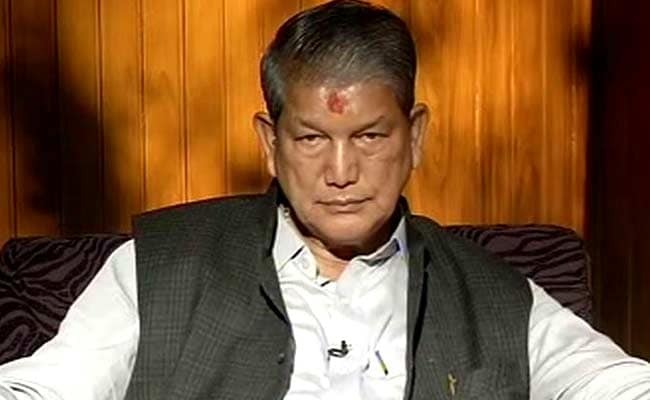 Harish Rawat, Chief Minister of Uttrakhand, talks about what the state is doing to make sports more accessible in schools. "We are building playgrounds in schools, and have recently started a campaign that aims to involve more people in sports from rural areas", he says. Sonali Bendre adopts a school, donates Rs. 5,00,000 to the campaign. Lighter moments: Ranveer Singh sings a few songs from Sonali Bendre's film titled Sarfarosh. 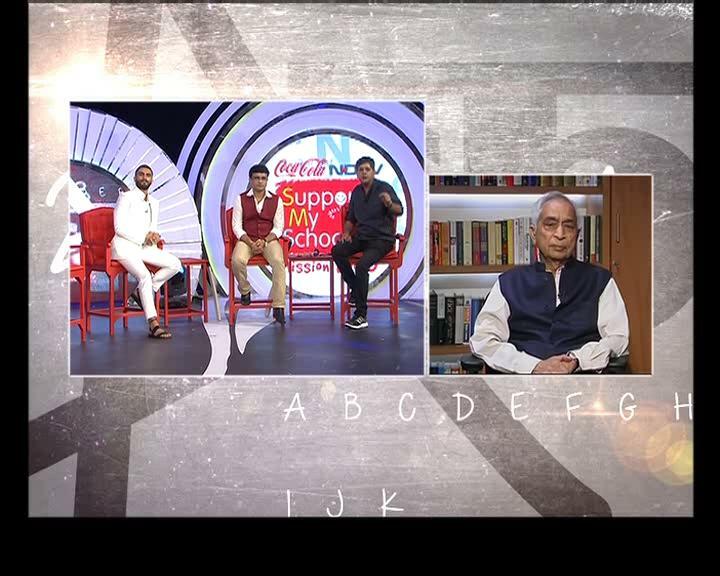 Bollywood actor Sonali Bendre joins the discussion on the importance of education, says "it all starts at home". "What do I bring to the table as a parent? I want to teach my child to be a compassionate human being who can give back to the society", she adds. 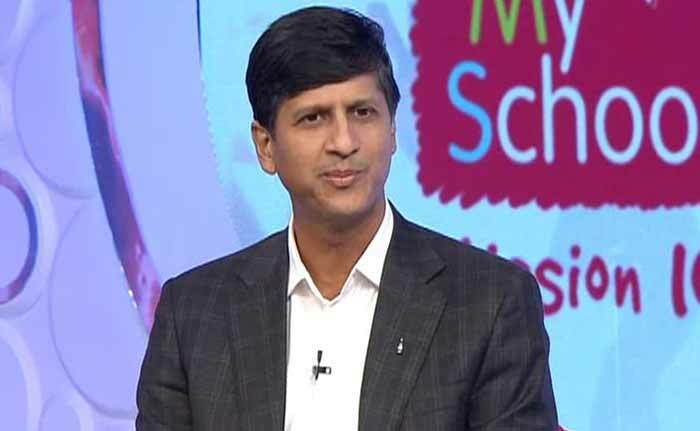 Arun Tiwari, CMD of Union Bank of India, adopts two schools by donating Rs. 10,00,000 to the campaign. The lack of good quality teachers is as important a concern as the lack of infrastructure, says Vineet Nayyar, Vice Chairman of Tech Mahindra. "I can give you the fanciest of schools, and it'll go nowhere if there aren't good teachers associated with it", he adds. Rotary has made an additional generous offer: they will fund one school for every school that somebody else funds. Their offer stands valid for another 100 schools. Shekhar Mehta from Rotary India, along with Aircel, has pledged to upgrade facilities in 50 schools. Former Indian cricketer Sunil Gavaskar shares his thoughts on how sports can transform lives. "It teaches one how to win, and how to accept defeat. It's such a valuable tool to inculcate a sense of teamwork and discipline", he says. A playground, however small, will go a long way in shaping children, according to him. When Ranveer Singh and Vikram Chandra played cricket against Sourav Ganguly. 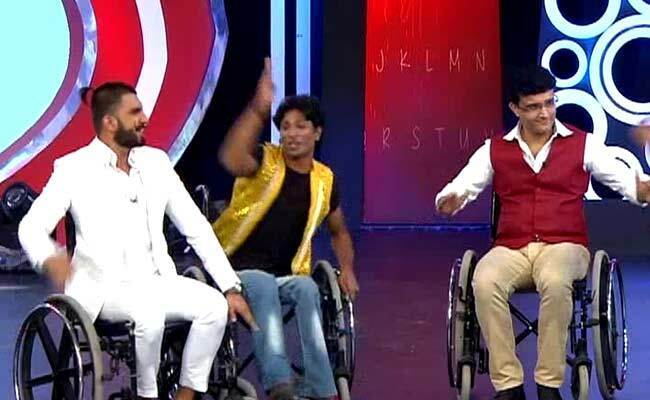 Ranveer Singh and Sourav Ganguly perform with the specially-abled on wheelchairs. 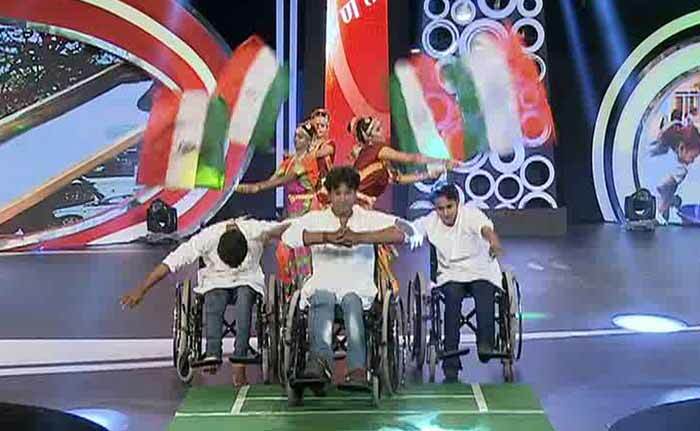 Here's another electrifying performance by our specially-abled heroes on wheelchairs. Joe Joseph, a fashion designer by profession, designed a special line of clothes and school uniforms for children with special physical needs. 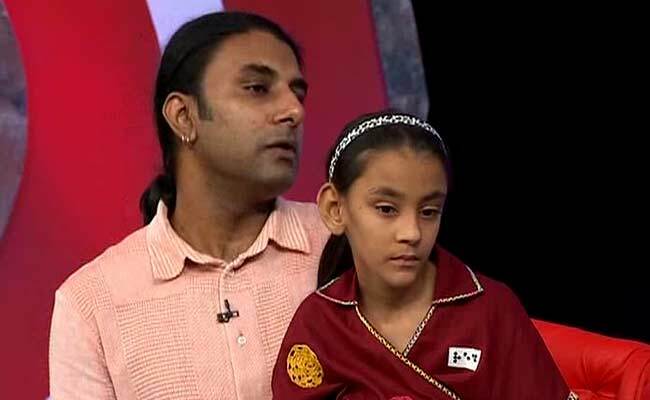 He came up with this idea when he witnessed his daughter Tilotma struggle with zips and buttons on a daily basis. She's wearing one of his creations in this photo. It's time for Sourav Ganguly to be on the receiving end of some training. Ranveer Singh makes him groove to a song from his movie Ramleela! And this is just a teaser. There's going to be more dancing on the stage. 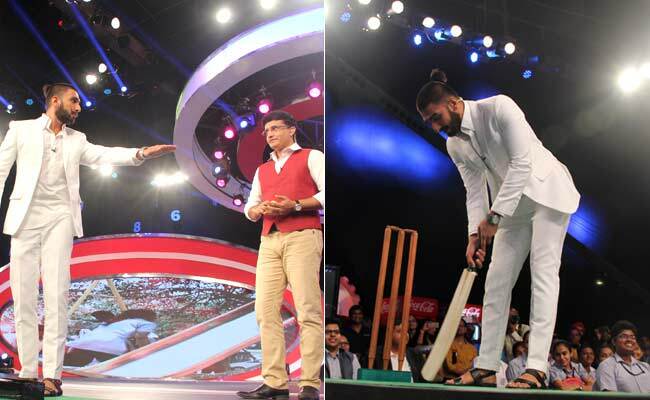 Ranveer Singh bets he'll be able to hit a six on Sourav Ganguly's ball. Sadly, he couldn't. But Vikram Chandra did! "For me it's a big deal to be invited to co-anchor the Support My School campaign," says Bollywood actor Ranveer Singh as he takes the stage. Bhagyashree Dengle from PLAN, Mathew Reeds of Aga Khan Foundation, Suman Voora of Round Table India and Kulwant Singh, Chief Advisor UN Habitat's Urban Planning Services, discuss how children should go about taking responsibility, and assuming ownership of their schools. The Aga Khan Foundation together with CCIPL make a donation to revamp 12 schools. We have Round Table India and The Coca-Cola Foundation together make a commitment to revitalise 15 schools. Mr Kalyan Ranjan from HCCB donates Rs. 70,00,000 to the campaign with the hope that more children enroll themselves into schools. NDTV reporter Harsha Kumari Singh takes us to a school that was revamped as part of Support My School campaign in Jaipur's Kaladera district. Sourav's Pathshala: Everybody wants to learn Dada's cover drive! 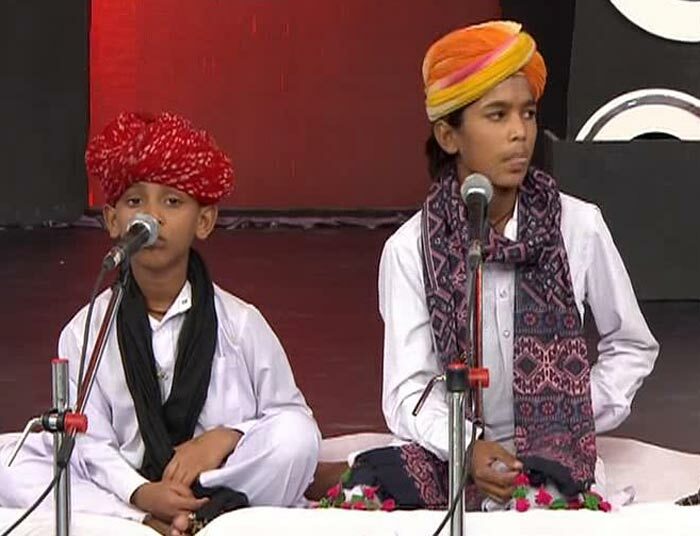 Here's a photo from the performance by the supremely talented children of Rajasthan's Langa community. Abha Adams, India's top educationist, talks about how the teaching and learning procedure followed in India may prove to be counter-productive in the current education environment. The Telethon is proud to present to you Ashok Mewada, a Maths Wizard, who's going to share a few tips and insights into mental Maths. The interesting thing is that he used to flunk in Maths when he was in Class 5. Here's the Telethon, so far, in pics. 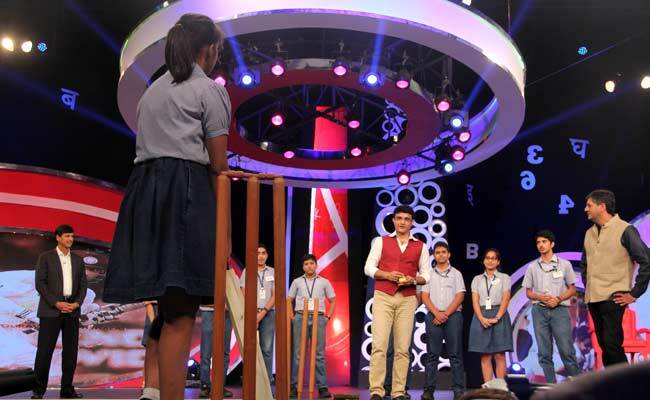 Sourav Ganguly interacts with a few lucky students on the stage and coaches them in cricket. From cover drives to straight drives to lofted sixes, the Telethon is where all the action is. And donations have started coming in! Our first donor Arun Kumar, President of HSIL, is contributing Rs. 5,00,000 to Support My School campaign. Arun Bharatram, SRF; Meenakshi Batra, CAF India; and Praveen Kumar, COO, UBS India, discuss how social responsibilities and charities are perceived in India. 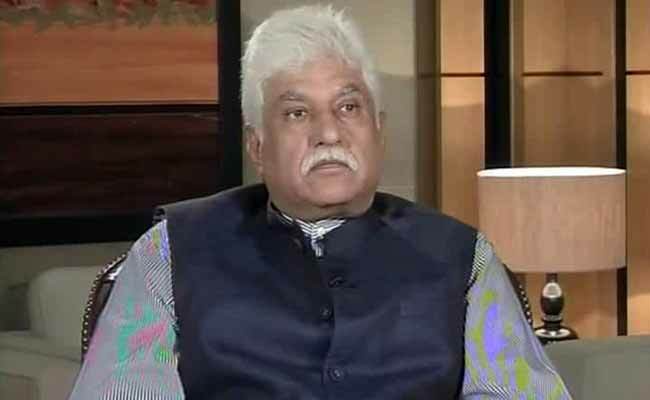 Rakesh Bharti Mittal, Vice Chairman of Bharti Enterprises, talks about the role corporate sector can play in boosting India's education system. "The private sector can fill in wherever the government falls short. 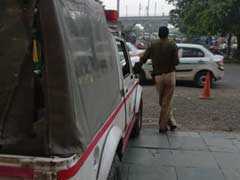 But the management needs to take charge of maintenance," he says. Tune in to hear his views. Ruby Rawat talks about why she had to quit school, and how Support My School helped her. Venkatesh Kini, CEO Coca-Cola India and South West Asia, talks about the long journey this campaign has embarked on. "Today, we stand together to reaffirm our commitment to the cause of keeping India's children where they belong, in schools, and we mean all children," he says. A lot of children who come from underprivileged backgrounds don't have access to basic necessities in life. If they're helped, we can make champions out of them, says Sourav Ganguly. 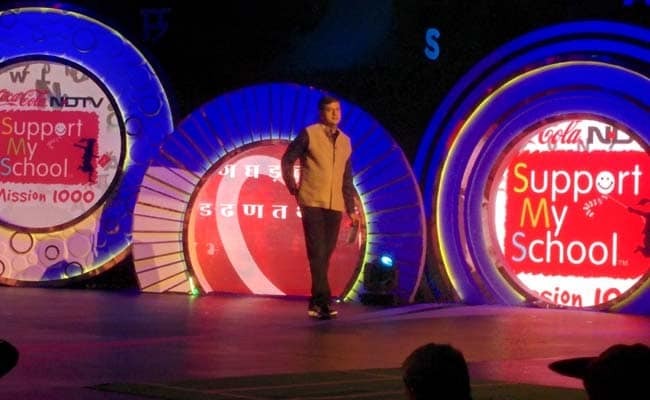 Vikram Chandra invites co-anchor and campaign ambassador Sourav Ganguly on stage. The Prince of Kolkata has truly immersed himself in the cause of Support My School, helping us raise funds, visiting our schools, and spreading awareness about the campaign. 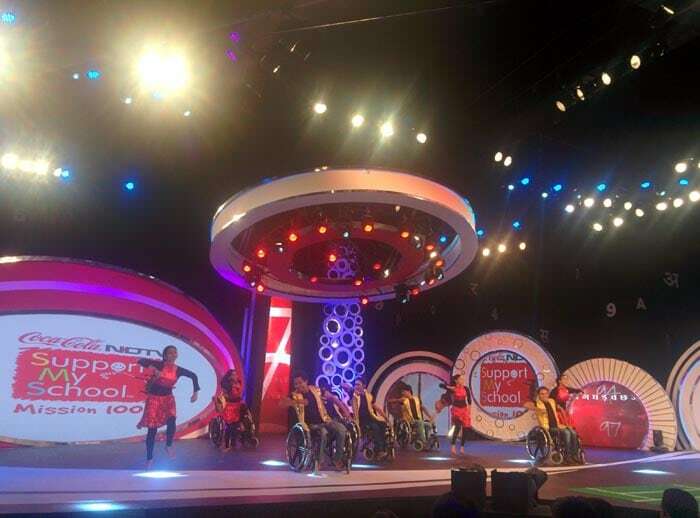 Here's a photo from the extraordinary performance by some of our differently-abled Indian heroes. One of the troubling aspects of the Indian education sector is that only 1% of the differently-abled students have access to schools. As we kick-off our next mission to transform 1000 schools, we also pledge to move towards a future of inclusion. And we're live! Join us in our attempt to provide education and brighten up the future of our nation's children. 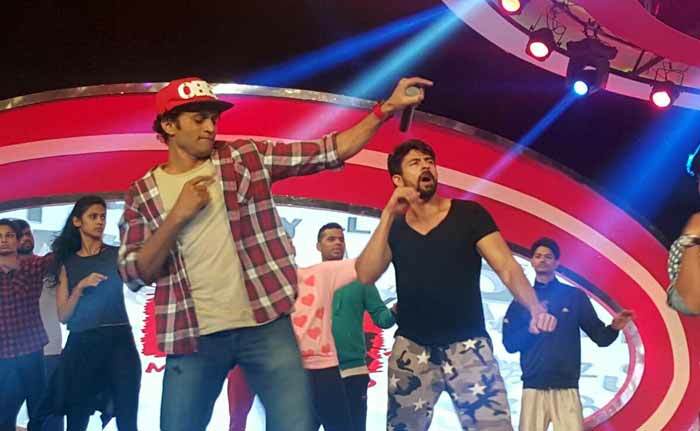 TV actor, anchor and dancer Hussain Kuwajerwala rehearses his dance routine ahead of the Telethon. Support My School is a nationwide initiative to transform poorly equipped government schools into a healthy, happy and holistic place for children. Our campaign ambassador Sourav Ganguly gears up for the telethon. 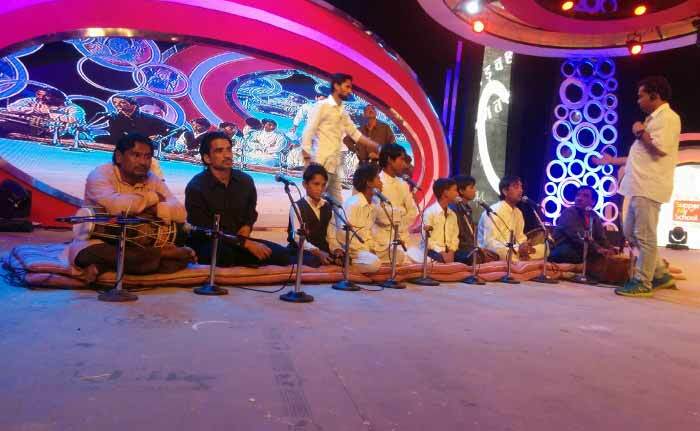 Sumnath and Sonali Majumder, winners of India's Got Talent Season 4, rehearse for their performance for the telethon. Be prepared to be blown away with their glittering salsa routine. 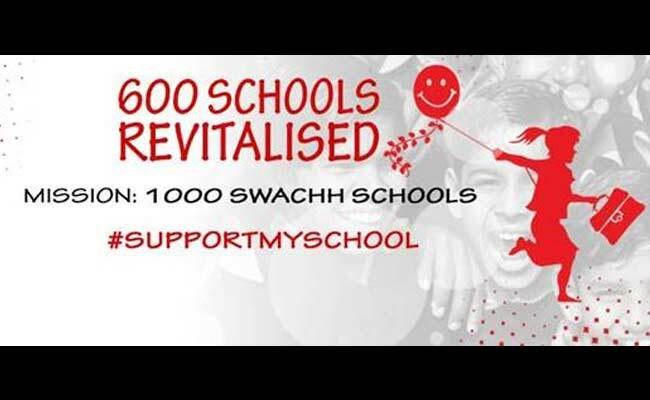 #SupportMySchool has already transformed 600 schools and changed the lives of 2 lakh children. Next target is 1000 schools. Vikram Chandra, Group CEO & Executive Director of NDTV Group, talks about the campaign's journey so far. The excitement for the telethon, which is due to begin in a couple of hours, is building up. Here's Aslam Khan Langa Group rehearsing their classical music set. 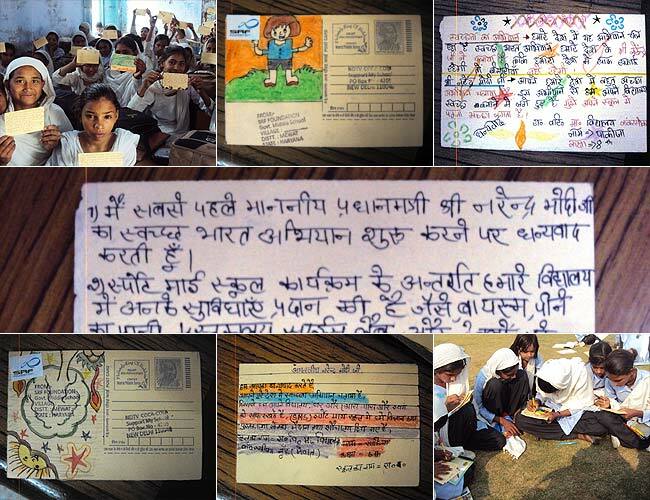 We've received an overwhelming number of postcards from people across the nation for Prime Minister Narendra Modi. 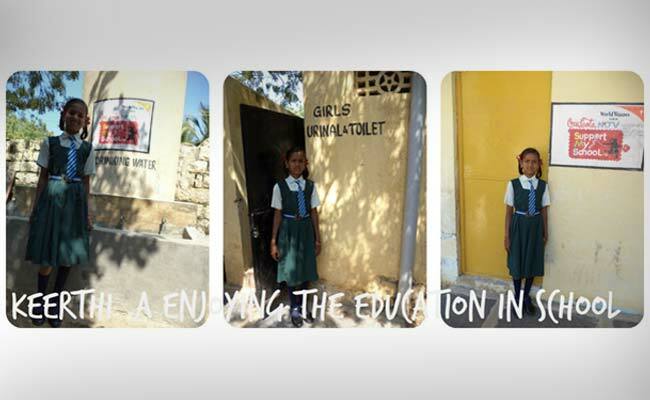 You can also send one to acknowledge the Swachh Bharat and Swachh Vidyalaya intiatives here. Here's how the Support My School campaign helped girls of this Ranchi school shoot for their goals by acquiring football gear and equipment for them. Remember the time when your only worry in life was to score well in your school examinations? Such were the joys of school life! Send us a photo of yours, with a caption, that best describes your happiest moment in school. Winning entries will receive merchandise autographed by Sourav Ganguly. Children thank Support My School campaign for making their schools a healthier and happier place. 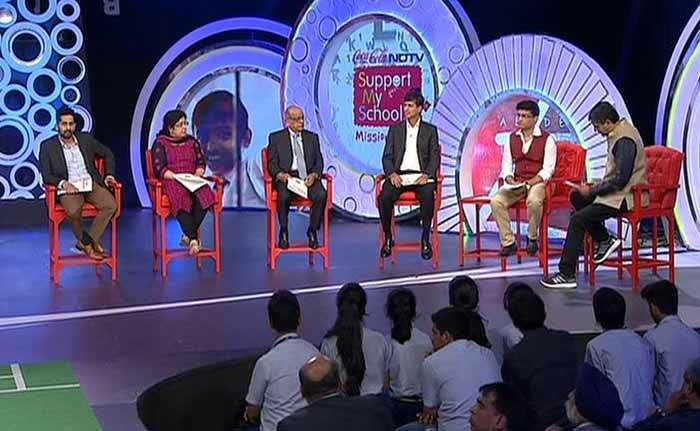 Former Indian cricket team captain Sourav Ganguly has lent his voice to the NDTV-Coca Cola Support My School initiative. Read more about his involvement here. 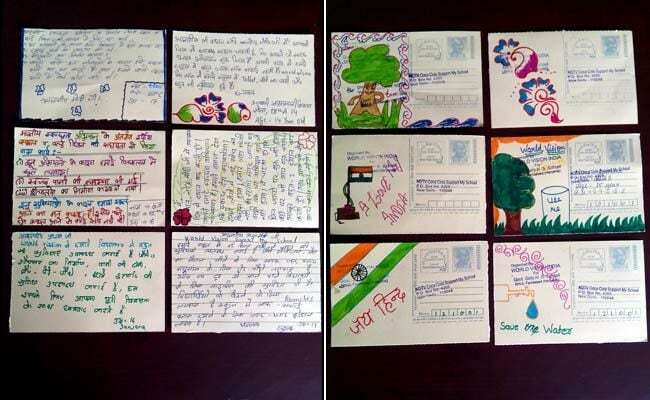 As part of the campaign, students from across India have been sending postcards to Prime Minister Narendra Modi to thank the central government for their Swachh Bharat and Swachh Vidyalaya initiatives. You can also send him a postcard here. We also extended our reach to Goa in this leg of our initiative. 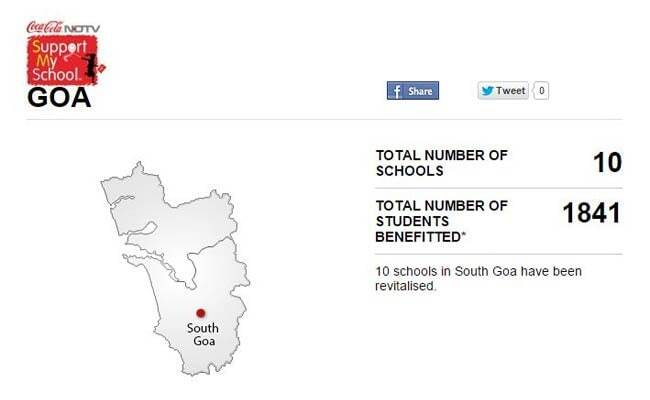 We revamped 10 schools in south Goa. Lucknow's Kasturba Gandhi Girls School was sanitised as part of our campaign; the girls are now regular and more willing to attend school. This government high school in Ludhiana's Sadhugarh has seen an increase in enrollment rates thanks to Support My School. Aditi Arya, Miss India, visited Sahpur Nagli Government School in Haryana, and encouraged children to follow their dreams. Here's a visit to Cinnamora Government High School in Assam's Jorhat. Thanks to the initiative, the enrollment rate here has seen an increase. Here's a peep into why children drop-out of government schools, and what Support My School is doing to reduce the number of drop-outs. Absent teachers, and the lack of them, is a huge reason behind children dropping out of government schools. Here's an inspiring story of children who decided to take things in their own hands to keep teachers in line. We're helping children like their schools better. 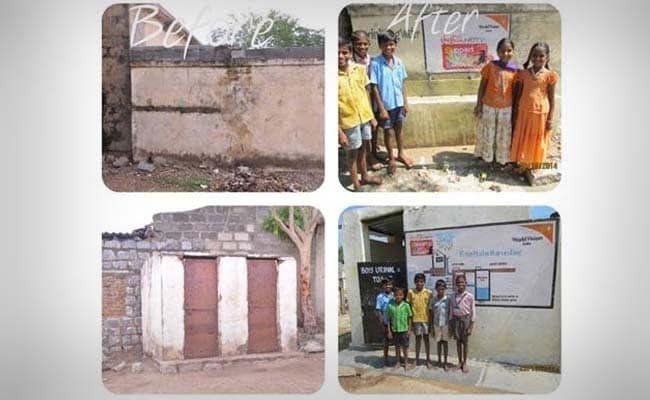 Here's a success story from Hire Hadligi's village, located 40kms away from Karnataka's Bellary. Schools that have been benefitted by our campaign so far. 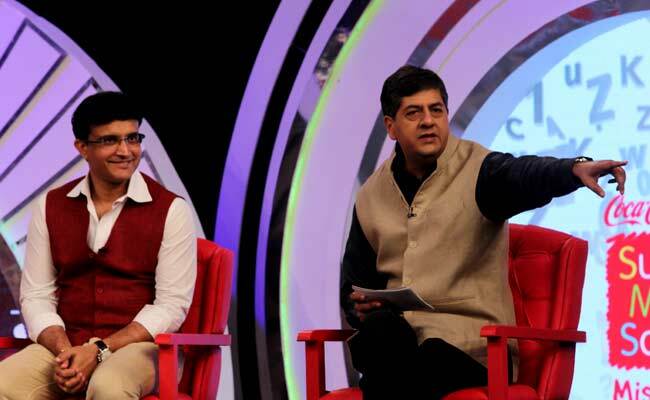 Sourav Ganguly discusses the impact of the initiative in Kolkata. Here's a salute to the hard-working teachers who have dedicated their lives to the cause of education. Bollywood actor Abhay Deol roots for easy access of education to all children across the nation. It's important for the progress of our nation and the future of the young ones, he says. Children all smiles in Bangalore during the celebrations of the initiative's achievements. Meena Manch is a forum inspired by the animation series "Meena" that was produced by The United Nations Children's Fund (UNICEF), to promote the value and rights of the girl child. Jyoti, a member of Meena Manch tells us, "If a girl is educated, she will be self-sufficient and can take care of her family". The Manch has been working hard to bring back girls to the school in Haryana's Pubsara Village. Khurana laid emphasis on the importance of education of the girl-child - "Mothers teach a lot to their children and I learned a lot from my mom while growing up, so it's very important for them to be educated and education of young girls is very important". 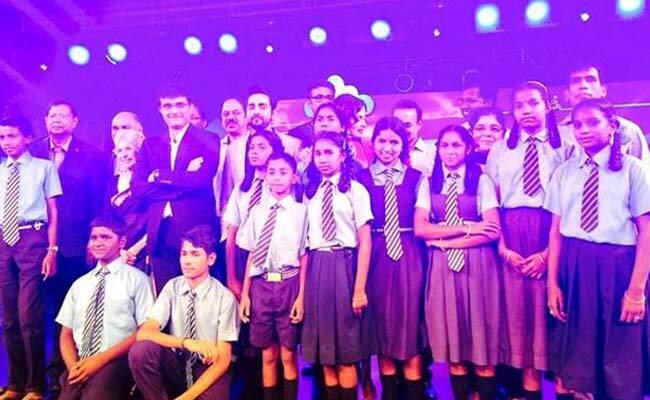 Here's how Bollywood actor Ayushman Khurana paid an ode to the students present during the celebrations of revitalizing 600 schools in Bangalore. Thanks to all the donations coming in for this cause, and the efforts of everyone part of the initiative, we touched 600 schools. To contribute for the cause donate now. Anu Aga, Director of Thermax & Social Philanthopist and Rajya Sabha MP, talks about the education scenario in India. She believes that infrastructural facilities like drinking water, or government schemes like the mid-day meal scheme may not be enough to retain students for very long, as they are seeking quality education. Vikram Chandra, NDTV Group CEO, on the campaign's achievements so far. With the addition of these 200 schools the campaign crossed an important landmark that of revitalising 500 schools. Over 200 schools have been revived since the launch of the third season. 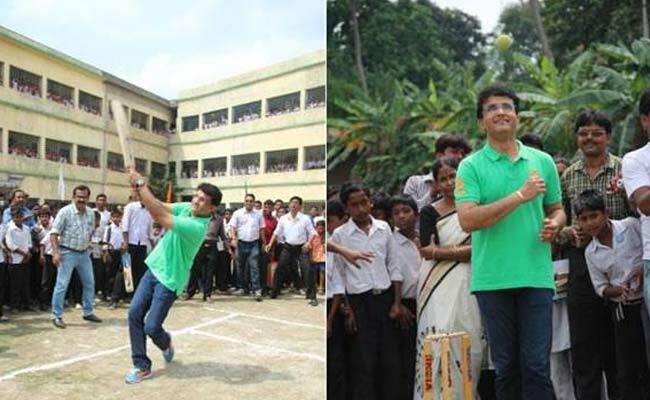 Sourav Ganguly also played cricket with the children there. Check out the photos here. "It's (Support My School) an amazing project and I have seen it before on NDTV with the great Sachin Tendulkar. It's something that touched me from Day 1. This is Kheadaha, this is real Bengal, this is rural Bengal. We grew up in the nest of (well-off) schools like St Xavier's, La Martiniere, Don Bosco. And everything in these schools is picture perfect. But the grim reality strikes us when we come to these places, meet the children here and assess what they get out of it. This is actually educating the masses and giving the masses what they need to have a healthy life", Ganguly said at Bengal's Kheadaha High School. Here's an account of Ganguly's day spent at Kheadaha High School. The campaign ambassador for this leg of the initiative is Indian cricketer, and former Indian cricket captain Sourav Ganguly. He recently visited Kheadaha High School in Bengal and spent time with the students there trying to understand their concerns. The third leg of the campaign was launched in November 2014 with the aim of revitalizing 1000 schools in rural and semi-rural parts of India by 2017. The second season ended with a grand telethon that saw children put up dance performances and donations pouring in. 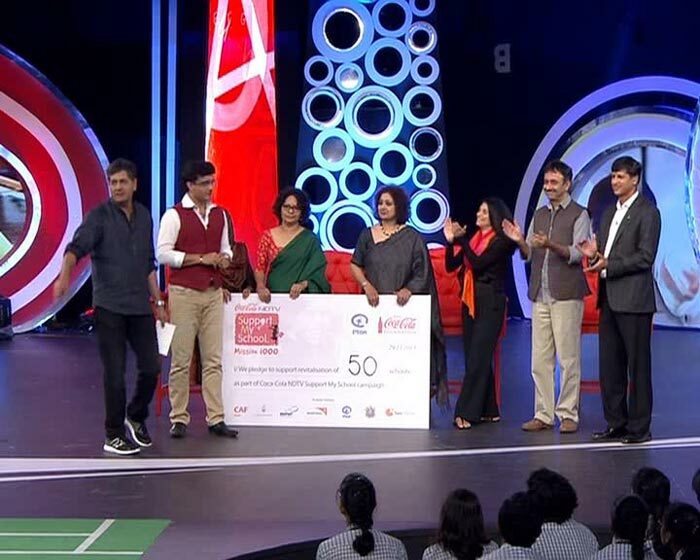 Dr. Prannoy Roy, the Executive Co-Chairperson of the NDTV Group and Vikram Chandra, CEO of the NDTV Group also moderated a panel with Sachin Tendulkar and Nita Ambani, founder and chairperson of the Dhirubhai Ambani International School. In the second season of the campaign, 272 schools were uplifted. 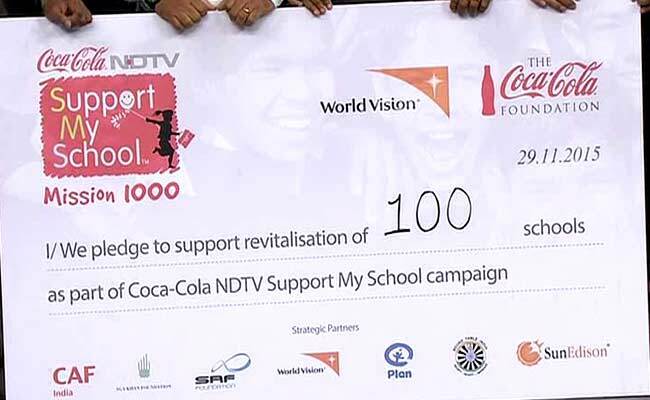 Coca-Cola NDTV Support My School campaign aims to revitalize schools in dire need of functional basic amenities like toilets, access to water and so on. In its first leg, the campaign managed to successfully revitalize 100 schools.